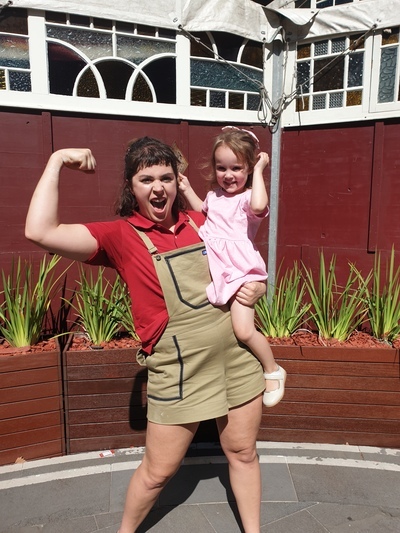 The Famous Spiegeltent is set up at the Arts Centre Melbourne for this year's International Melbourne Comedy Festival, which this year plays host to an all female cast of "Don't mess with the Dummies"
Jamie Bretman, founder of Dummies Corp, has put together an all star fun female show. 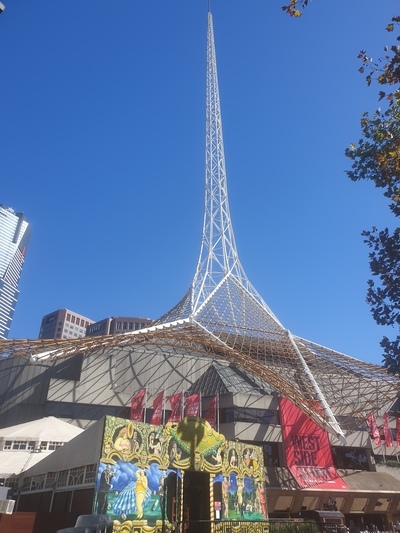 Mr G, Miss 3 and I went along to Arts Centre Melbourne to check it out. Ok, I say the show is performed at Arts Centre Melbourne, however, technically that isn't true. To add to the magic, a big top has been set up just outside the building. Seats are not allocated so we joined the line. Kid Town Melbourne Tip: arrive early to get good seats. The big top seats approximately 100 people, therefore the performance is intimate with plenty of audience participation. Miss 3 ended up with an imaginary fly landing on her at one point. 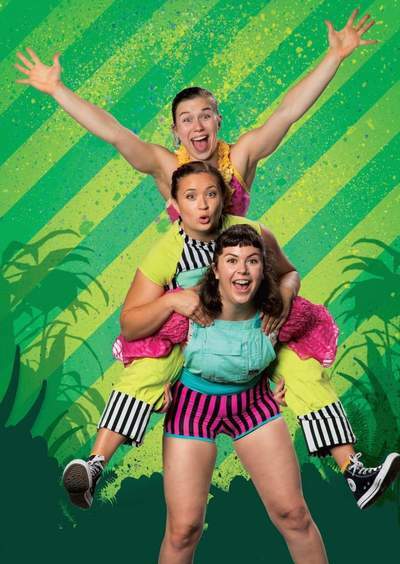 Ellen Henry, Maya Tregonning and Shona Conacher take the audience on a jungle adventure that includes a fly circus, fire, tents and sleeping bags. You haven't seen anything till you see what these girls do with their sleeping bags. Don't mess with the Dummies is a 60 minute show, filled with circus tricks, amazing strength, agility and laugh out load comedy antics. Suitable for children of all ages.